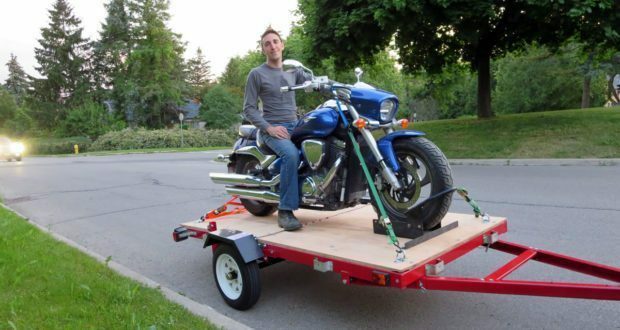 Home / Reviews / Product Reviews / Toronto Motorcycle Towing $50 – Towing Tuesdays! 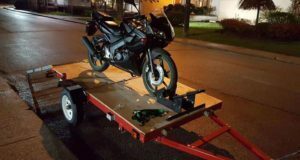 Toronto Motorcycle Towing $50 – Towing Tuesdays! Our folding motorcycle trailer build is complete! If you’ve been following our Towing Tuesdays column for the past two weeks you’ve seen the tweaks we’ve made. 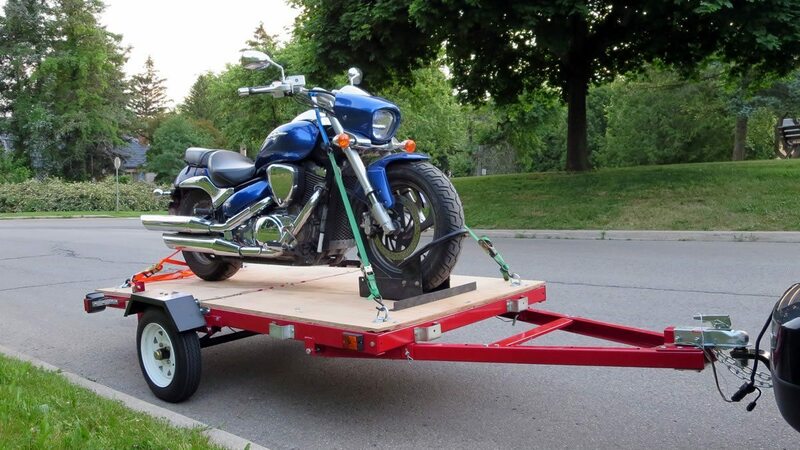 On it’s own the Harbor Freight folding trailer is good enough and gets the job done, but our little hacks like these ones make it more efficient, and these tweaks make it better for motorcycle-specific duties. That being said, the trailer is done and towing motorcycles in Toronto a few times a week. If anyone’s looking for a motorcycle tow in Toronto, or just wants to see the finished products, check out the pics. 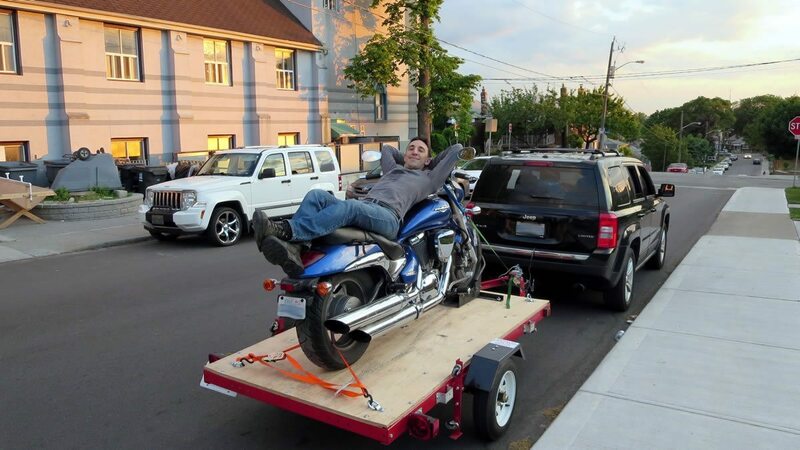 Need a motorcycle tow in Toronto? Click here to reach out. Price for a trailer tow starts at $50, but if you want a motorcycle tow on my dolly for $50 you can get that for short hauls. I’m told the competition typically charges nearly twice as much as their starting rate, and the cost goes up with every kilometer. Give us a shout for a quote, just let us know your pick up and drop off. I have my bike to ride it, not tow it. 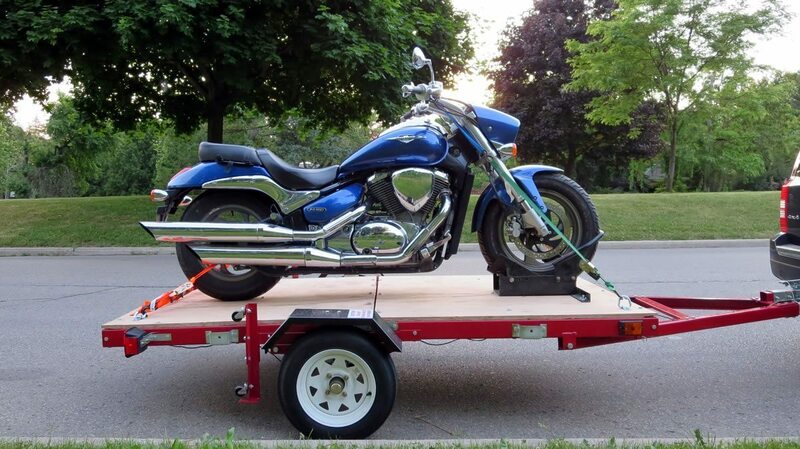 When I think of a motorcycle trailer, I think of the one I tow with my bike so I can bring my camping gear along. Ever broken down on the side of the road or even at home, Dave?